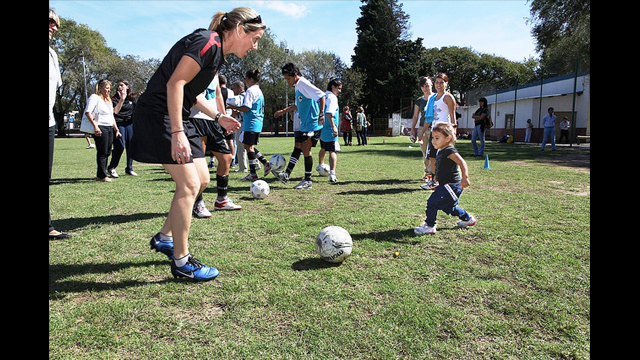 Former U.S. Women's National Team star Amanda Cromwell demonstrates a kick for the young players in Argentina. A participant’s little sister joined in to learn some soccer skills. 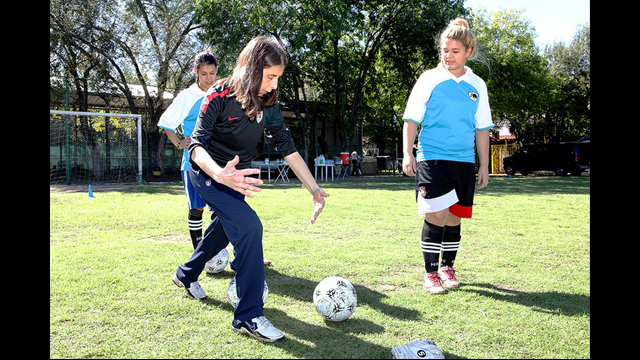 Former U.S. Women's National Team coach Lauren Gregg teaches proper dribbling techniques to young women in Argentina. 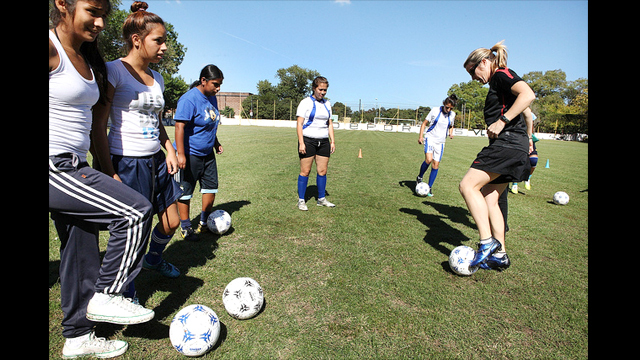 Amanda Cromwell teaches footwork skills to a group of teenage female players in Buenos Aires, Argentina. Amanda Cromwell speaks on the importance of both teamwork and hard work after a soccer practice in Argentina. 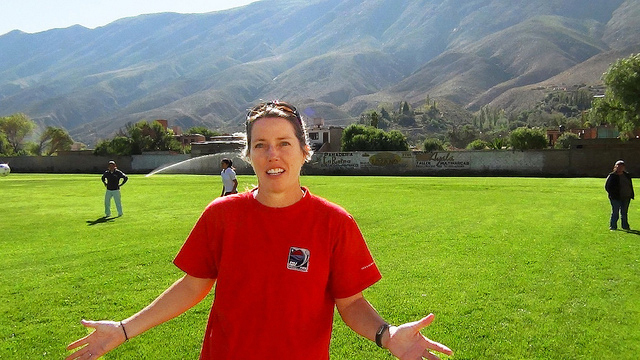 As a part of the Empowering Women and Girls Through Sports Initiative, former U.S. Women’s National Team (WNT) player Amanda Cromwell and former U.S. WNT coach Lauren Gregg went to Argentina as sports envoys. From March 15 to 21, 2012, they led clinics and teambuilding activities for underserved girls in Buenos Aires, Jujuy, Salta, and Tilcara. This trip was one in a 2012 series of Sports Diplomacy programs focused on reaching out to women and girls through sports.